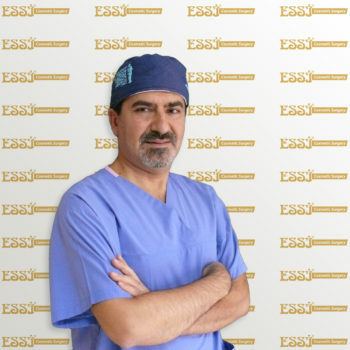 Dr Hakan Guney, is a plastic surgeon with over 20 years of experience in breast reconstruction, face procedures, body procedures and hair transplantation. Dr Hakan Guney, MD is a board certified plastic surgeon who specializes in face procedures, body procedures, breast reconstruction and hair transplantation. He believes in a personalized approach to the patient, with the goal of a natural and restorative outcome. Dr Hakan Guney obtained his MD from the Hacettepe University in Ankara. Following this, he completed his plastic and reconstructive surgery residency at the Uludag University Department of Plastic Surgery and at the University of Cologne (Germany), Maxillofacial Surgery Clinic. Dr Guney worked in Vehbi Koç Foundation’s American Hospital, Onep Plastic and Reconstructive Surgery (1997 – 2006 Partner) and Metropolitan Florence Nightingale Hospital (1999 -2006 Visiting Staff). He is a member of many reputable national and international associations and the winner of TUBITAK awards. Dr Guney is well published both in the basic science and clinical literature. He performs his surgeries in Istanbul and he is fluent in English.